Order in the next 2 hours 49 minutes for delivery on Monday, April 22. 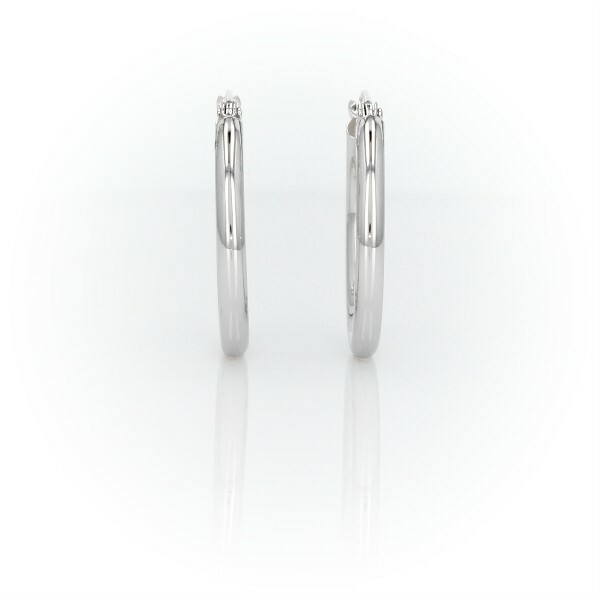 Perfect for everyday wear, these small hoop earrings are crafted of high-polished platinum tubing, with a secure latch back for a lightweight, comfortable fit. Platinum's hypo-allergenic nature makes them perfect for sensitive, pierced ears.